Misa joined Watsi on September 13th, 2013. Five years ago, Misa became the 166th member to automatically support a new Watsi patient every month. Since then, 4,920 more people have become monthly donors! 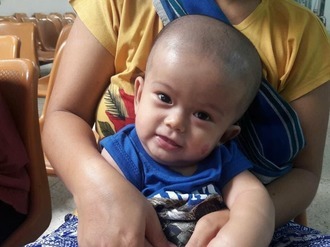 Misa's most recent donation traveled 4,500 miles to support Nwet (BB), a baby from Burma, to fund brain surgery. Misa has funded healthcare for 69 patients in 10 countries. 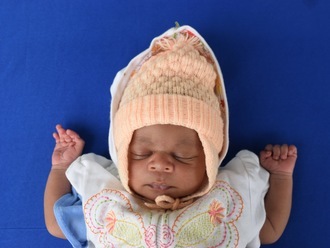 Ayisha is a baby from Haiti. She lives with her mother and grandmother in Port-au-Prince. She is a happy, outgoing baby who enjoys playing with her relatives and neighbors. Ayisha has a cardiac condition called patent ductus arteriosus. A hole exists between two major blood vessels near the heart. Blood leaks through this hole without first passing the lungs to obtain oxygen, leaving her sick and short of breath. 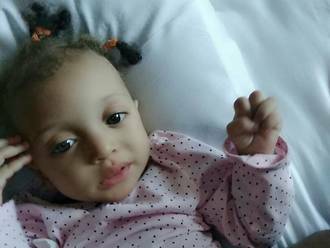 Ayisha will fly to Cayman Islands to receive treatment. On April 4, she will undergo cardiac surgery, during which surgeons will use a catheter to insert a device into the hole, blocking it and preventing blood from leaking through it. Another organization, Have a Heart Cayman, is contributing $14,000 to pay for surgery. Ayisha's family also needs help to fund the costs of surgery prep. The $1,500 bill covers labs, medicines, and checkup and followup appointments. It also supports passport obtainment and the social workers from our medical partner, Haiti Cardiac Alliance, who will accompany Ayisha's family overseas. Her mother says, "I would like to say thank you to everyone who is helping my daughter to become healthy!" 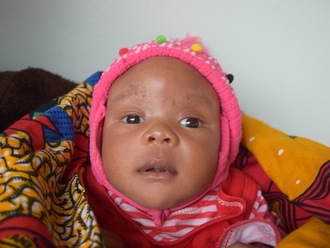 Elisha is two weeks old and lives with his family in Tanzania. Elisha is the fourth born in his family. His father is a carpenter with a small furniture business, while his mother is a businesswoman selling fruits in the market. They live in a rental house in Tanzania. Just one week after being born, his mother noticed that her son's right leg was not in a normal condition. She took him to the doctor, where he was diagnosed with clubfoot. 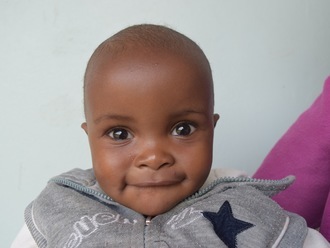 If not treated, Elisha will experience difficulty walking when he grows up. He will feel pain, and he may be subjected to stigma. Thankfully, Elisha's treatment is scheduled for April 25. We expect that when Elisha gets treated, he will be able to walk without pain, attend school, and perform normal activities like his peers. The family has managed to raise $49 to help contribute to the treatment's cost. They need help to raise an additional $890. Elisha’s father says, ”After he gets treated, I would love to see Elisha attend school and go to a university one day." Diana is a 12-year-old student from Tanzania. She is the first of four children in her family. Her father works as a farmer to support their family, and her mother takes care of their household. Diana is in the sixth grade and enjoys studying and playing with her friends. Since she's been young, Diana has had several illnesses due to her enlarged tonsils, which are prone to infection. She was advised by a local hospital that the only long term solution was to surgically remove her tonsils. On July 20, Diana will undergo a tonsillectomy at our medical partner's care center, Arusha Lutheran Medical Centre (ALMC). Our medical partner, African Mission Healthcare Foundation, is asking for $633 to cover the cost of her surgery. Diana's parents are grateful for the donors' support. 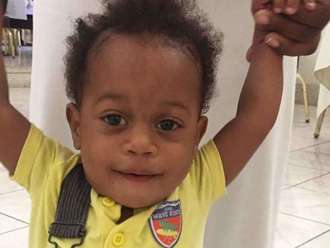 Presley is a 13-month-old baby boy from Haiti. He lives with his mother, father, and older sister. His father is a mechanic and his mother works in a preschool. Presley has recently learned to walk and likes running and playing. Presley was born with pulmonic stenosis, a cardiac condition in which one of the heart's four valves is too small. As a result, his heart has to work much harder to circulate the blood, leading to heart failure and leaving Presley sick and weak. Seeking treatment, Presley visited our medical partner, Haiti Cardiac Alliance. Although the majority of his heart surgery is being subsidized by the organization, Have a Heart Cayman, Presley is still in need of $1,500 to cover medications, exams, and heart surgery prep. Presley is scheduled to undergo heart surgery on June 16, and his mother says how she is "very hopeful that after the surgery Presley will be completely healthy and normal!" Ni is a 38-year-old mother of two sons and wife. Her children are currently in school, while she works with her husband grow corn on their land at home. Ni also cares for her mother-in-law, who is paralyzed from the waist down. In August of this year, Ni began experiencing stomach pain. 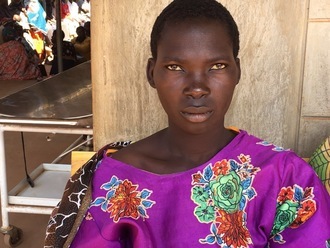 She visited a clinic in her village and was prescribed medication to alleviate her symptoms. Ni's condition did not improve, so she visited a private clinic. Her treatment was once again unsuccessful. Ni's neighbor suggested she seek treatment at another clinic, and there, she was diagnosed with gallstones. She was referred to Mae Sot Hospital (MSH), a Watsi care center where doctors recommended she have surgery. She will need $1,500 to fund her procedure, a biliary obstruction repair scheduled for September 12. Ni is looks forward to being healthy again so she can provide a bright future for her sons. Only one month old, Lucas is a gentle baby boy who is his parent's first-born child. His father works as a motorcycle taxi driver, transporting passengers from one place to another, while his mother stays at home, looking after the family and doing other home activities. The family lives in a rental house in eastern Tanzania. Lucas was born with hydrocephalus with a myelomeningocele. A myelomeningocele—a type of spina bifida—is a birth defect in which several vertebrae in the lower back do not close properly, leaving the baby’s spinal canal exposed. The spinal cord and its surrounding membranes protrude through the opening in the backbone, forming a sac on the baby’s lower back. As many as 90 percent of children with meningomyelocele also have hydrocephalus, a condition in which there is an accumulation of cerebrospinal fluid in the brain that causes the head to increase in size. Without treatment, Lucas will experience increased pressure on his brain, which can cause brain damage and ultimately death. There is also the risk that the sac on his back will become infected, leading to further damage to the spinal cord and possibly preventing him from walking. Lucas could not receive treatment earlier because there were no surgeons available at the hospital where he was born. In addition, his family did not have enough money to pay for the surgery that he needed. He was referred to Arusha Lutheran Medical Centre (ALMC), a care center of our medical partner, African Mission Healthcare Foundation (AMHF), for treatment and support. AMHF requests $1,369 to pay for two surgical procedures for Lucas. In one procedure—meningomyelocele closure—surgeons will place the spinal cord and nerves back inside the backbone and cover them with membranes before closing the opening in his spine. In the other operation—endoscopic third ventriculostomy—surgeons will create a bypass through a thin membrane in the bottom (or floor) of a specific region of Lucas's brain. The cerebrospinal fluid will then flow up and over the surface of the brain and into the bloodstream. Lucas's surgery is scheduled for June 21. Funding also covers the costs of ten days of hospital care, imaging, blood work, medicine, and 25 days of accommodation for recovery and rehabilitation. Lucas's family is contributing $45 to cover additional expenses associated with his care. "I will be very happy and very thankful if Lucas gets treatment," shares Lucas's mother. Ethel is a farmer from Malawi. 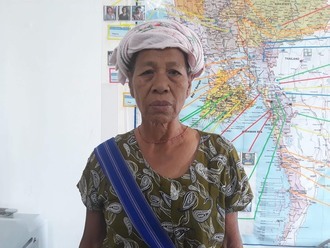 She recently traveled to our medical partner’s care center, Kabudula Community Hospital. Kabudula is a rural community outside of the capital city of Lilongwe. The health catchment area serves roughly 350,000 people, but the health centers and the hospital are often poorly stocked and staffed. One of Ethel’s teeth has been causing her bothersome symptoms. Diet is an issue for dental health in Malawi, where sugarcane is prevalent. Also, there is little to no oral health education in Malawi and limited access to a dental professional. In fact, there are fewer than 20 dentists across the country. Fortunately, a visiting dentist will perform a dental extraction. A dental extraction is a simple procedure with few risks, and it will result in a significant reduction in her symptoms. Ethel is scheduled to undergo treatment on July 18. Our medical partner, World Altering Medicine, is requesting just $28 to fund the procedure. Lucas is a one-year-old boy from Haiti. He lives in Port-au-Prince, Haiti's capital city, with his mother and grandparent. He is his mother's first child and has recently started walking. He loves exploring the house. Lucas was born with a cardiac condition called ventricular septal defect. This means that there is a hole between the two lower chambers of his heart. Blood leaks through this hole without first passing through his lungs to obtain oxygen, leaving him sick and short of breath. Our medical partner, Haiti Cardiac Alliance, is requesting $1,343 to cover the air transportation costs for his operation. He is scheduled to receive treatment on June 8 at our medical partner's care center, Health City Cayman Islands. "I was very scared when I found out about my son's heart problem," Lucas's mother said. "And I am praying that everything will go well with his surgery!"